Capitalism Nature Socialism is an international red-green journal of theory and politics, published by the Center for Political Ecology (CPE), in cooperation with Taylor and Francis Group. Key themes are the dialectics of human and natural history; labor and land; workplace struggles and community struggles; economics and ecology; and the politics of ecology and ecology of politics. The journal is especially concerned to join (and relate) discourses on labor, ecology, feminist and community movements; and on radical democracy and human rights. As a journal of theory and politics, CNS's first aim is to help build a critical red-green intellectual culture, which we regard as essential for the development of a red-green politics. To this end, we have helped to establish sister journals in Italy, Spain, and France and we collaborate with like-minded publications, scholars, and activists in Germany, the UK, Brazil, Mexico, India, and many other countries and regions. CNS publishes four times a year. It is edited in Santa Cruz, California, and by editorial groups in Boston, Toronto, and the UK. Roughly half of the journal's editors-at-large live and work in the South. Through formal and informal international networks, CNS has access to the very best red-green thinking around the world. 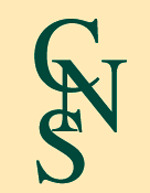 CNS authors include Joan Martínez Alier, Ramachandra Guha, Enrique Leff, Alain Lipietz, Mary Mellor, Valentino Parlato, Maria Pilar Garcia, Victor Toledo, and other overseas figures in the international red-green, feminist movement, as well as younger scholars and activists whose work CNS is making known to English-speaking readers. CNS is non-sectarian. We are affiliated with no political party or organized political tendency and are open to diverse views within global radical ecology/ecological radical movements. While we are a political journal, we try to maintain high standards of scholarship, as well to encourage discussion and debate about all the themes and issues bearing on our general subject. We publish essays and research articles, Symposia, Briefs, Book Review Essays, Book Reviews and Book Notes. CNS also publishes four regular columns by Paul Buhle, Mike Davis, J. Donald Hughes, Richard Lewontin and Richard Levins, and Kate Soper.